Emergency responders were called to the area of 51 Conrad Road at about 7:58 a.m. on Feb. 4 on a report of a truck fire. 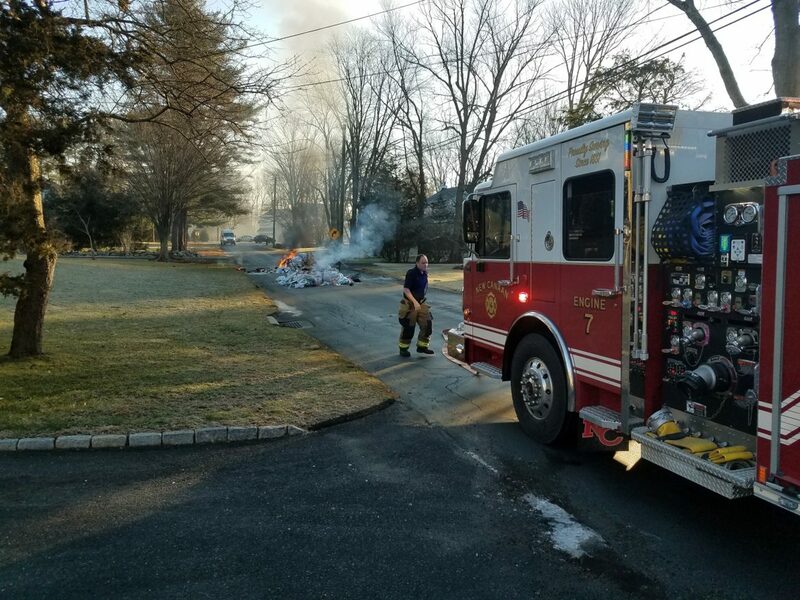 There, they found the garbage truck with its contents on fire, which required the operator to dump the load into the road so that it could be extinguished without damaging the vehicle, according to Fire Marshal Fred Baker. In addition to allowing fireplace ashes to cool, the ashes if they must be removed should go into an approved metal container with a tight lid, Baker said. New Canaan will host a Household Hazardous Waste Day at the Transfer Station later this, currently scheduled for Sept. 14, Baker said. For any questions regarding this or any other fire safety info, please call the Fire Marshal’s Office at 203-594-3030.